This is my Chargers football….because my Mommy is from San Diego. 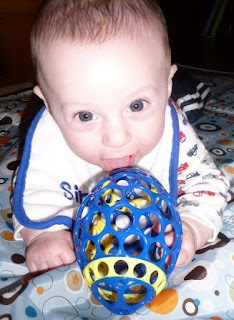 You can throw the ball further if you lick it first…. Let me show you how the pros do it….just be warned that when the camera starts shaking, it’s because my Mommy is laughing so hard….GO CHARGERS! I hope Max was happy when the Chargers whooped up on the Eagles…let's make sure he is raised properly, not with any type of East Coast Bias! Ummmm…..Max's Daddy (who is FROM the East Coast) is a HUGE Eagles fan, so we did not have a happy household that day 🙂 Max's Uncle Scottie was thrilled, but Daddy….not so much. 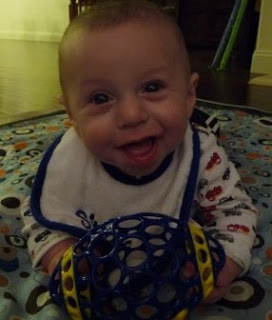 In fact, the score of that game (and Daddy's response) may have caused Max to learn how to drop the F Bomb.